I am Davros, Dark Lord of Skaro, and I have been tempted here to your miserable corner of the web as a new venture for the glorious Dalek empire, in order to indoctrinate you all to the cause, and as part of my community service. I am here to lend advice. And as I created the superior beings in the universe, and so by extension am even more superior, you should all take my advice without question. Now let’s start with the first batch of your pitiful problems. 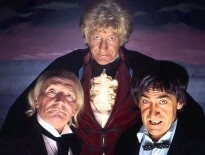 Mr Episilon-Sigma-Arbuthnot writes: Dear Davros. I have been fixated, some would no doubt say obsessed, with the girl of my dreams since the age of 15. We met at school after she kicked a football into my face. Once the swelling went down, it was love at first sight. Several years of casual flirting and ball-kicking eventually led to three blissful years of romance. However, she has recently fallen out of love with me and moved onto another man. I am, of course, inconsolable. How do I win back my first love? I feel for you. Everyone has experienced such pain. But you must learn to utilise this pain. I remember my first love. She was gloriously hideous, and the perfect supplement to my own hatred of other peoples. We used to trundle through the muddy fields of Skaro, dreaming of the wondrous ways in which to execute the Thals en masse. We even ventured into the Thal camps once, and that was when everything changed. She wandered from me and into the grip of a typically disgusting blonde-hair-blue-eyes-muscles-galore Thal. I was betrayed. It did, however, teach me a very important lesson. If you really love someone, you must let them go/use them for scientific experimentation. Good luck with your endeavours. Ms. Annabel Nomad writes: Dear Davros. My boyfriend has been pressuring me for some time, and such talk, I know, only leads in one direction. I am worried, though, as it will be my first time. I was just wondering what advice you could possibly give me? Please do not be worried. Your first time is something magical. I remember the first time I exterminated an enemy like it were yesterday, and it’s something I hope you and your boyfriend have as much fun experiencing as I did. You’ll be shaky and nervous, of course, but there’s plenty to relish in. You have two options: get it over with quickly or savour the moment. I find efficiency is key in the long-term, but your first time should be special. Take it slow and take pleasure in the screams of torture your bounty will no doubt give off should you undertake this task properly. I also advise a nice bit of music. Danse Macabre should set the scene beautifully, or possibly something by Fleetwood Mac. And afterwards, please have some respect for the environment: It is forbidden to dump bodies in the river. Mr Q.E. Tu writes: Dear Davros. I have just killed someone for the first time, and fear I shall do so again. Please help. My agent will be only too happy to negotiate fees for my personal assistance in exterminations. I think you’ll find my rates are particularly agreeable. Note that I offer reduced rates for multiple killings. Alternatively, if they are Thals or Time Lords – especially the one they call “The Doctor” – I’ll assist in exchange for a lovely slice of Victoria Sponge cake. On the advice of our lawyers, we must distance the Doctor Who Companion and its writers from the actions and recommendations of Davros. We take no responsibility for whatever actions you take as a result of his replies. 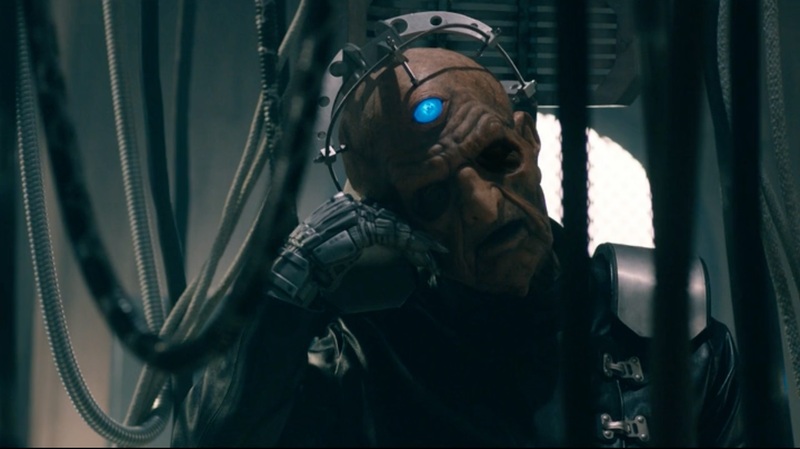 Davros will be back soon to offer his thoughts on Earthling issues. If you have any problems, keep them to yourself. 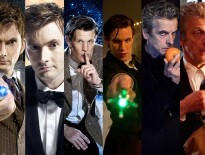 Alternatively, share them and we’ll select a few for Davros to answer in a future edition. ← Michelle Gomez Is Nominated For BAFTA. Peter Capaldi Isn’t.